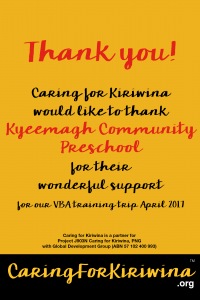 Thank you so much Caring for Kiriwina midwife educator Shea and her son film producer Lincoln Caplice for producing this fabulous video that expresses the essence of day to day life on Kiriwina. Thank you from the bottom of our hearts, the video brought tears to our eyes. 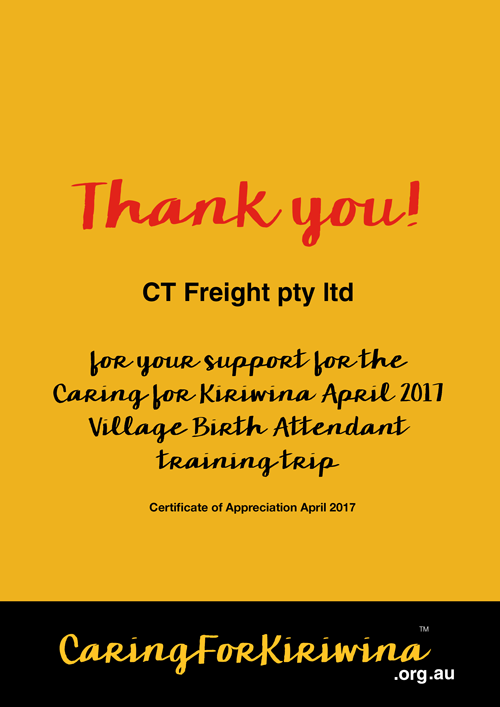 Caring for Kiriwina would like to thank CT Freight pty ltd for their wonderful support for our VBA training trip April 2017. 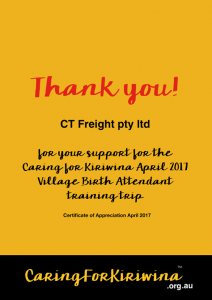 CT Freight pty ltd donated packaging. 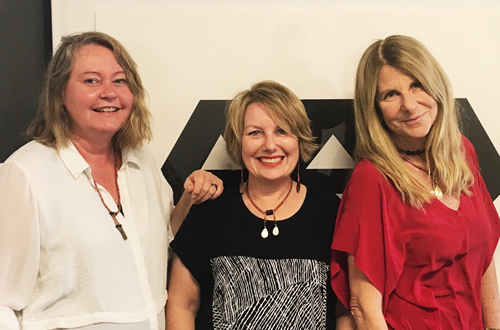 It is wonderful to be working with such capable people on something that means so much to us all. 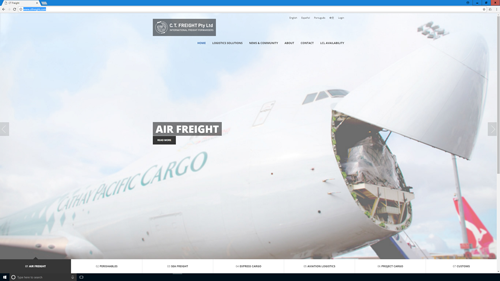 A lot of planning involved with some major strategies in progress. 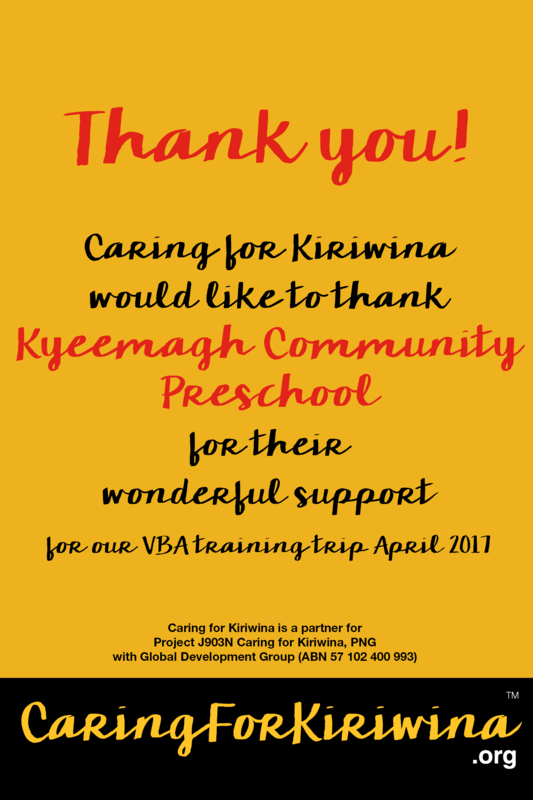 Caring for Kiriwina would like to thank Kyeemagh Community Preschool for their wonderful support for our VBA training trip April 2017. They donated pencils, soap and notepads.